Even the title sounds delicious! 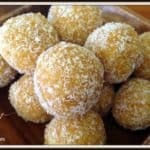 I am in love with Bliss Balls, how I got to my ancient 35 years old without discovering these I have no idea. Chances are high that it’s because I’m not in the healthy department of any café or recipe book! Well with the discovery of these and using the gorgeous dried fruit from Sunreal this is all about to change! 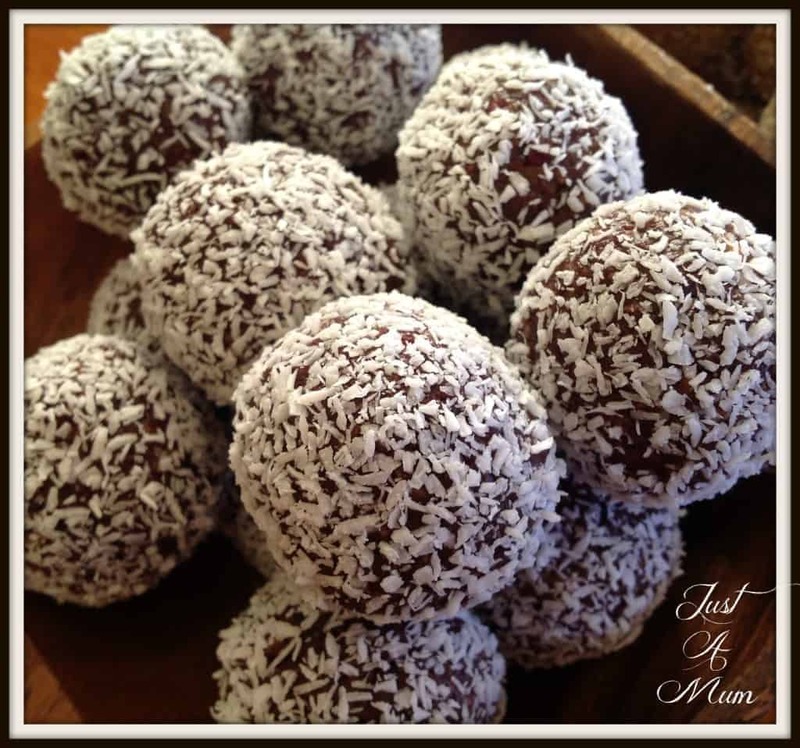 Bliss Balls are little balls chock full of goodness, usually made with dried fruit, nuts or seeds, coconut and bound with coconut oil, rice syrup or honey. They are healthy and a wonderful tasty alternative to a biscuit at afternoon tea time! Have you seen this? 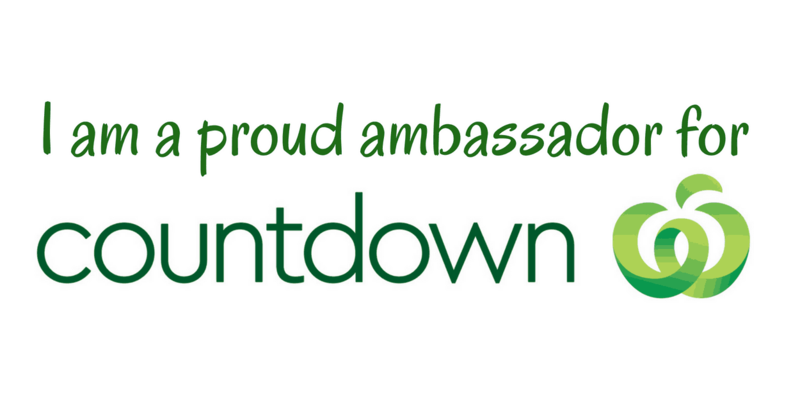 I am so excited to bring it to my Just A Mum Followers, all proceeds are fundraising for my sons entry into his first regional rep sports team! Thanks for your support. There are so many possible combinations you can absolutely experiment with your favourite dried fruits, seeds and nuts flavours. I am a huge fan of using cranberries in both savoury and sweet dishes and these cranberries are really plump and flavoursome unlike some I have used which seem quite shrivelled and past their best! 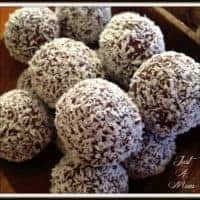 Using the dates and cocoa gives this a lovely richness that meant my kids were instantly fans of the “Chocolate Bliss Balls”, they are dense and sticky and would make a perfect “take-a-plate” dish to any gathering. You can use raw cacao in place of cocoa but it is not something I have in my cupboards. 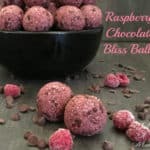 One of the great things about Bliss Balls is they can be stored in the freezer, so you can make lots of batches ahead of time, store them and bring them out when you need them. You serve them cold from the fridge so they last really well. 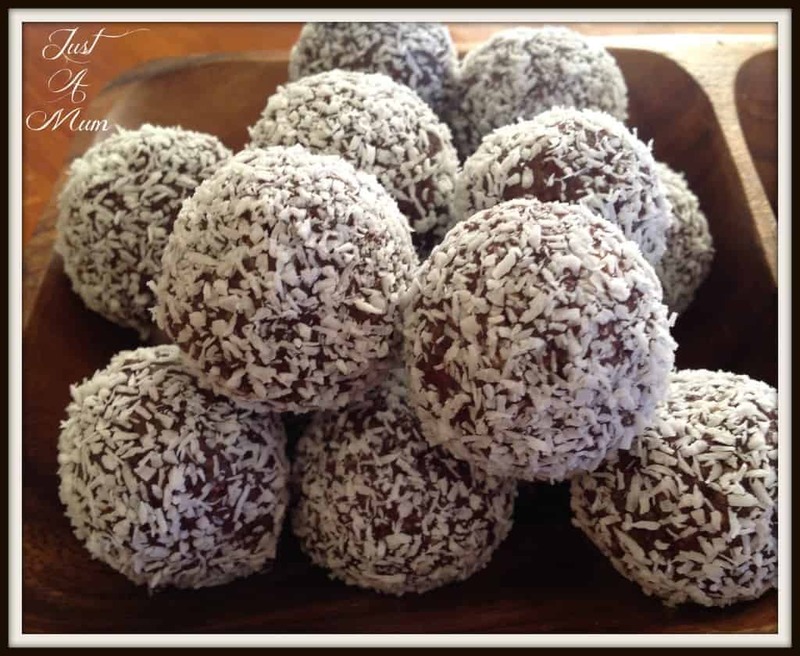 I will be sharing lots more Bliss Ball recipes over the coming weeks so you are sure to find a combination you love! They would be perfect for the ladies after golf, on the Christmas table or in kids lunch boxes, they are perfect! 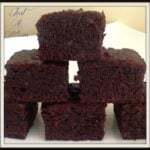 Here is my latest recipe – you will love it! Coconut Oil is the king of oils, but if you have none and do not wish to buy some you can substitute with a TBSP of honey, or leave it out altogether if you prefer, it is a really sticky mixture I find so may easily come together with no added liquid. 1-2 Tablespoons Coconut Oil (I found 1 was plenty) - If you do not wish to use coconut oil, leave this out completely as it is quite a sticky mixture - or use a TBSP of honey or Rice Syrup if you prefer. Add the melted coconut oil slowly while pulsing the mixture until it comes together to form a sticky dough - I found 1 Tablespoon was plenty sticky enough! Freeze for 30 minutes then enjoy! 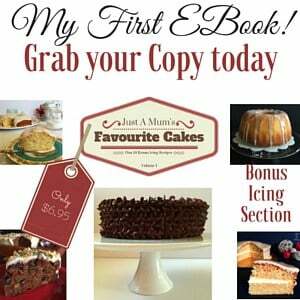 This recipe has been adapted from one I have found from the very clever Liz at I Spy Plum Pie – but there are so many varieties out there you can never have too many! 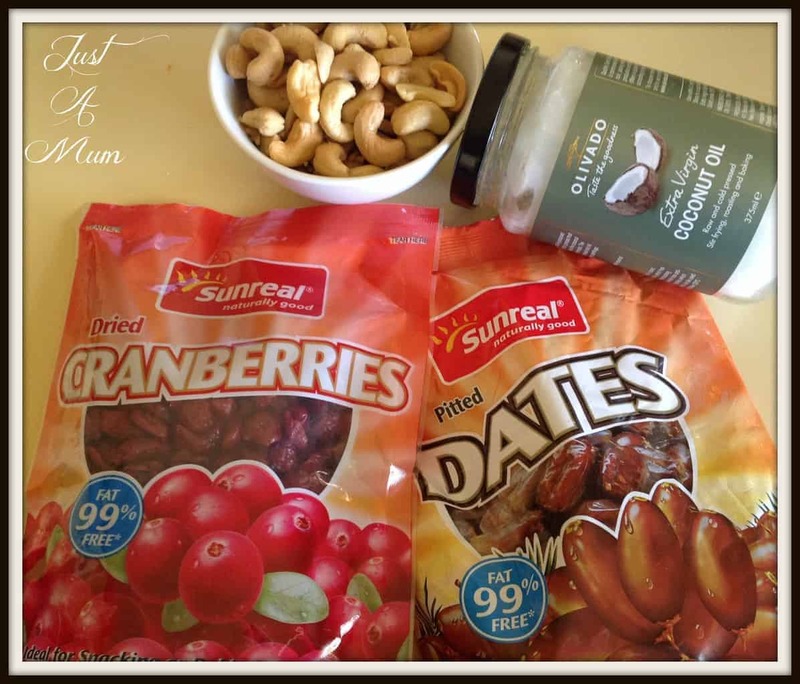 I am looking forward to sharing more lovely recipes with you using Sunreal dried fruits over the coming weeks, such a great way to sweeten your food without using a lot of extra sugar and packed full of flavour! 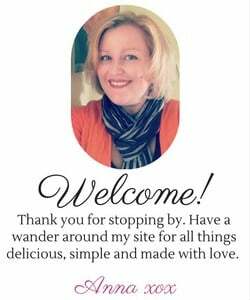 Thank you so much for stopping by, you can register your email on the right hand side to subscribe to my recipes and Like me on Facebook Here to see my recipes as I post them. Thanks, cannot wait to share more variations, the possibilities are endless! Really healthy recipe. Definitely I am going to try it. Made these today using different nuts. The variations that can be made are amazing!! Quick, easy and healthy recipe! Gonna give these a go! I love how you’re so real and honest, a lot of bloggers go way OTT with pretending that cacao and coconut oil and random sugars are what you keep in your pantry on the regular. You always have a good balance and I admire you for that! Made this recipe for the first time tonight. 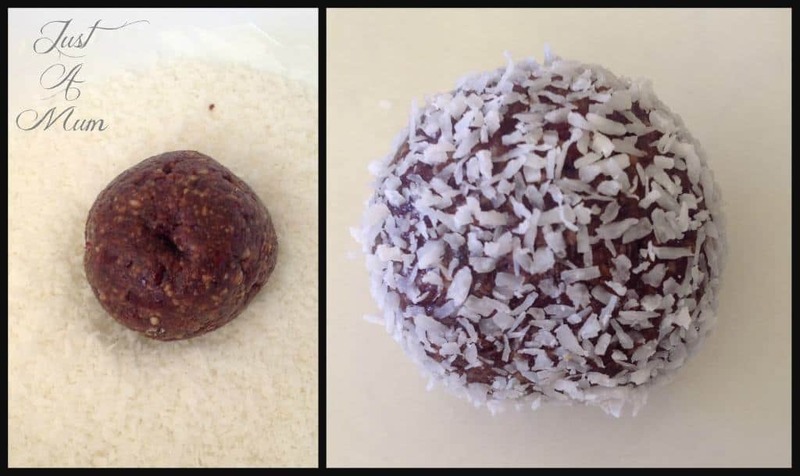 Recipe was easy to follow and the balls turned out great! I tried adding some dried apricots with the dates and cranberries – Delicious! Awesome Claudia! I am so glad you enjoyed it. Such a good recipe, and great idea to add a few different things to it.